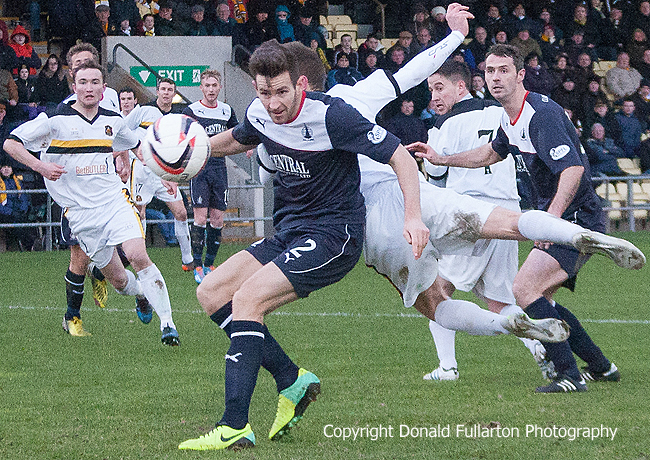 DUMBARTON produced a great second half performance to beat title challengers Falkirk at the Bet Butler Stadium on a cold grey day. DUMBARTON produced a great second half performance to beat title challengers Falkirk at the Bet Butler Stadium on a cold grey day in front of a 1,004 strong crowd. Gary Holt's Bairns had the better of the first half as the home side struggled to settle against a strong wind, but chances at either end were in short supply. Falkirk took the lead when their top scorer Rory Loy was sent through on the left and lobbed keeper Stephen Grindlay, but the interval arrived with no further scoring. After the break it was Dumbarton who had the wind at their backs, and they gradually took control. The equaliser arrived when Mitch Megginson sent in a glancing header after a Colin Nish cross, giving the keeper no chance. With five minutes to go they added no.2 when Jordan Kirkpatrick's shot from distance was deflected into the net, and there was no way back for the visitors. The picture shows Megginson heading the equaliser.